We have marked a niche in the global market for manufacturing and exporting premium quality Rotary Seals. 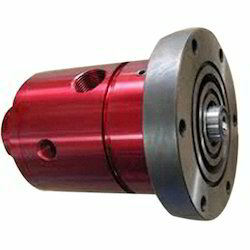 These seals are widely used in components with oscillating parts. Further, our precious patrons can get this Rotor Seal Q.R.V from us in varied specifications at marginal rates. We are dealing in all types of Rotary Seals in different elastomers. If you have specific requirement, we have the solution for you. All sizes are feasible. Please Contact to us for further details. Extends capabilities and reliability of general service sealing for plant - wide usage. We are engaged in importing, distributing and wholesaling a comprehensive range of PTFE Rotary Seals. The entire range of these products is sourced from certified and reliable vendors of the industry, who manufacture these products using supreme quality raw material and in strict tandem with the international quality standards. 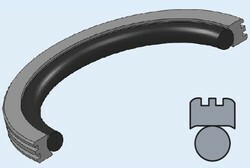 This Rotary Hydraulic Seal is a type O-ring seal that is used to seal shaft and bore.